During this stage, where students begin to demand a greater degree of freedom and independence from the adult world, it is essential to educate them also in the sense of responsibility and self-discipline. The development of a critical capacity with respect to their own actions is essential in order to be able to become responsible and autonomous students. This justifies the importance of the education in social and ethical values at this stage; service learning and emotional intelligence are developed through the school’s own programmes and projects which are integrated into their daily curriculum. 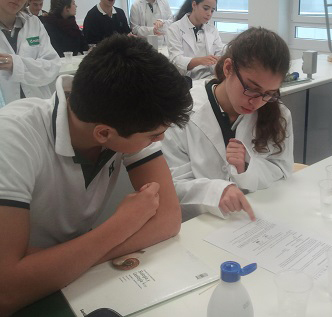 At the academic level, it is necessary to stress the need to consolidate and improve the base which was acquired during the primary years; using the interdisciplinary and transversal approaches to work; cooperative learning; through projects; learning based on problems and challenges in communication and information technologies through use with tablets and the school-created platforms; scientific curiosity and experimentation. Together with the maximum development of other core subject areas, we emphasize the degree of immersion in the English language as lingua franca for the teaching of different subjects, Students also continue to learn Mandarin Chinese, along French or German, as a third foreign language. All this with the aim of guaranteeing an optimum preparation of our students for their future, giving prime importance to academic and professional orientation that allows them to choose the activity which they want to dedicate themselves to, allowimg them to carry this out to the highest level of competence possible.